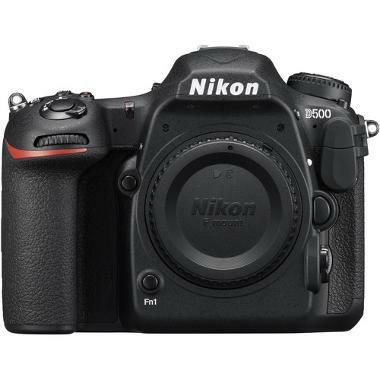 The Nikon D500 DSLR Camera incorporates the best features of the Nikon D7200 (built-in WiFi, robust build, a crop sensor) with a host of updated specs, including higher maximum ISO, higher shooting speed, and – most notably – the ability to shoot in 4K UHD at 30, 25, and 24 FPS. It can also record Full HD/HD at up to 60 FPS. Save movie files in-camera or uncompressed footage to an external recorder, such as the ATOMOS Ninja 2 Video Recorder, via HDMI. For still shooting, the 10 FPS shooting speed is quick enough for sports and wildlife while the very high maximum ISO of 1,640,000 can tackle any low-light situation. The 3D Color Matrix Metering III can evaluate and analyze all aspects of a scene, including brightness, contrast, and even scene colors to get the best exposure and white balance available. 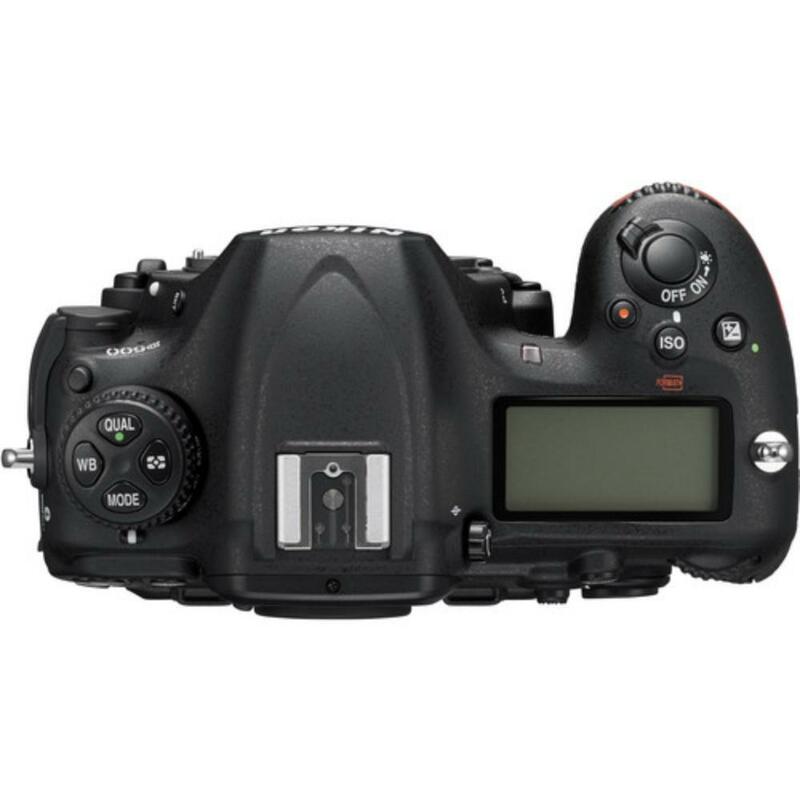 The crop frame sensor has an updated processor with a configurable AF system of 153 points that are compatible with lenses using an effective f/5.6 or faster (use the 15 point setting for shooting at f/8). This, along with the 1.5x magnification of the crop sensor, benefits super telephoto lens shooters. Overall, these features greatly benefit event photographers. For videographers and hybrid shooters, a video-optimized Flat Picture Control mode can be used during recording to flatten the overall contrast curve for more control during post-production and color grading. An Electronic Vibration Reduction feature can be used during Full HD and HD recording, which minimizes the appearance of camera shake across three axes to control horizontal, vertical, and rotational movements. A dedicated Power Aperture button (Pv) allows you to achieve smooth, continuous exposure transitions when moving from light to dark areas. 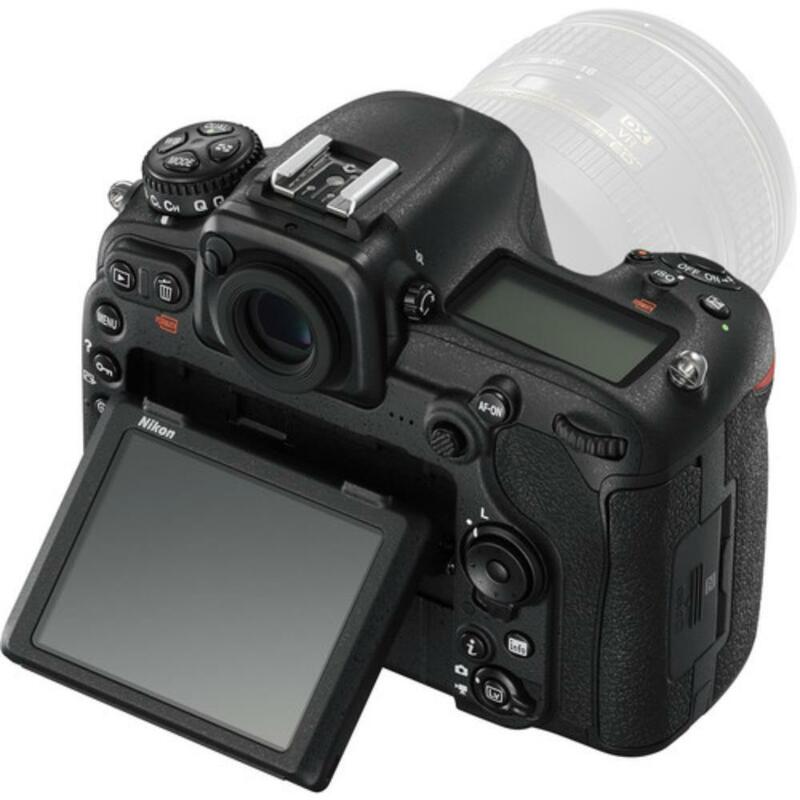 Auto AF fine-tune in Live View allows complete control over minor focusing variations and can be employed to ensure the best possible focus for each mounted lens. The AF system then calibrates itself to the fine-tuned focus position in order to alleviate front/back-focusing issues. Add to this external microphone/headphone ports with sensitive sound monitoring and you have full multi-media potential. All of these features make the D500 an ideal workhorse for sports/wildlife photographers and videographers alike thanks to accurate tracking abilities, textured and tactile controls, a variety of ports for production peripherals, weather sealing, and incredible exposure latitude. • Compatible with the MB-D17 Battery Grip, which is not included. • Continuous video shooting is possible for approximately 30 minutes in 4K UHD or Full HD. External 4K recording to a device, such as the ATOMOS Ninja Flame Video Recorder, allows unlimited clip lengths. • AF NIKKOR lenses, including types G, E, and D are compatible with this camera but note the 1.5x crop sensor field of view of this camera when choosing a lens. IX-NIKKOR lenses, lenses for the F3AF, and non-AI lenses are not compatible.